Achilles tendon ruptures have historically been one of the tougher injuries to rehab from. In the 2008-2009 NFL season alone, 31 players ruptured their Achilles. Parekh et al (Parekh et al, Foot Ankle Spec 2009) performed an internet-based retrospective review of NFL players from 1997-2002 and found that of the 31 players tore their Achilles, 36% were unable to return to play and that 50% of those who returned had a decline in performance metrics. The data isn’t so great in the NBA either – a study out of Drexel University found that 7 of 18 players in the NBA who ruptured their Achilles from 1992-2012 never returned to play. Those that did return to play saw their minutes played drop 27%, and not a single one achieved as many minutes as they had in the season prior to the Achilles rupture. As the largest tendon in the body, the Achilles functions to push your whole body weight with every step. What complicates injuries to the Achilles in athletes in particular are the excessive demands placed upon it in order to reach top speed and performance. As such, many athletes struggle to get full Achilles strength and function back, some never do, and some are just out too long and organizations/clubs/teams are forced to move on. That begs the question, is there something that can be done about this? Who’s most at risk for an Achilles tendon rupture? For the most part, males between 30-40 years of age are at the highest risk (Lephillahti et al, CORR 1998; Houshian et al, Injury 1998). They seem to affect the “Average Joe weekend warrior” a fair amount, but basketball remains the sport where they are most frequent (Raikin et al, Foot Ankle Int 2013). Why do people struggle with Achilles tendon ruptures? Basically, there are two reasons: One, the incision has historically been a few inches in length. The bigger the incision, the more disruption to the local soft tissues and the more potential complications with wound healing. 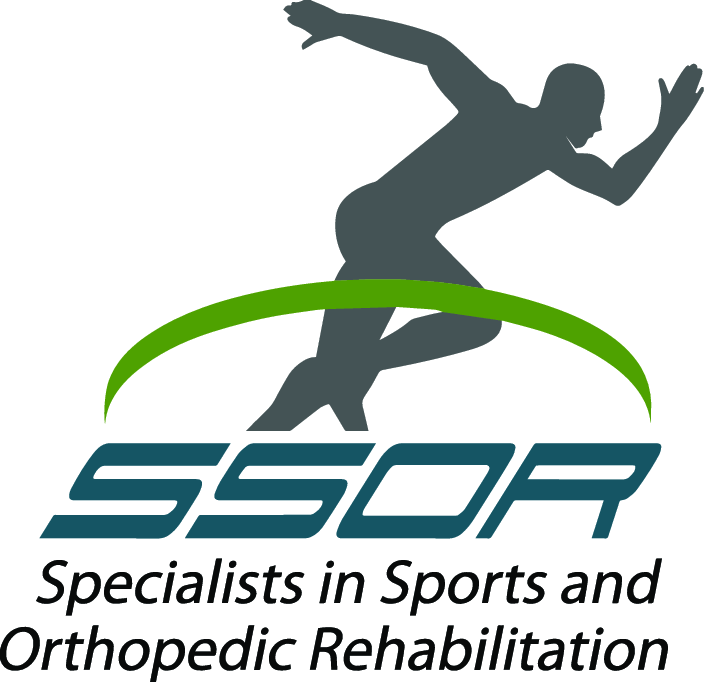 The other is the recovery and restoration of strength and function present prior to injury/surgery – these historically have taken upwards of 9-12 months to recover from for most athletes. Most people are immobilized in slight plantarflexion, then progressive weight-bearing, motion, and strengthening is allowed. However, if restrictions are released too soon, the newly reconstructed Achilles can get stretched out too far. “Stiffness” is needed for optimum tendon function. Careful not to confuse “stiffness” with “tightness” – they are distinct entities. Stiffness is simply resistance to deformation. There is a direct correlation between stiffness and strength of soft tissues. 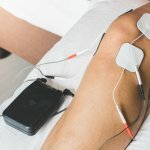 One of the “buzzwords” in sports medicine these days is “minimally invasive.” The term “mini-open” has also been used with certain procedures indicating a smaller incision. Mini-open Achilles tendon repair with devices such as the Percutaneous Achilles Repair System (PARS) involves a much smaller incision (pictured below). Because we’re a physical therapy practice, we won’t try to cover the details of the surgical procedure, so we encourage you to talk to a foot/ankle surgeon about it. Why is the mini-open PARS procedure so promising? Well, two reasons again. One, the incision is much smaller. Plus, the recovery time from one study (McCullough et al, J Surg Orthop Adv 2014) of NFL athletes showed a 5-9 month recovery compared to an average of 11 months in the Parekh et al study discussed above. While there are other variables to consider in the return to play times, there remained a difference of a few months regardless. A recent study by Hsu et al presented at the American Orthopedic Foot and Ankle Society meeting found that 98% of patients treated with the PARS technique returned to baseline activities by 5 months post-op, compared to 82% in the open group. Clearly, there is some promise with this procedure. After the PARS procedure, there tends to be some variability in how these are treated based on patient age, activity level, bodyweight, and comorbidities. Most patients though are non-weight bearing for about 4 weeks, then begin progressive weight-bearing in a boot with heel lifts to prevent stretching of the Achilles into dorsiflexion. Compared with most standard open procedures, though, because the incision is much smaller and is made in line with natural skin lines, motion including active dorsiflexion to neutral can begin at 2 weeks post-operative once the splint is removed, noting the critical importance that no passive stretching past neutral dorsiflexion occurs. Gentle isometrics can begin about week 3 (pending physician authorization) and resisted plantarflexion with tubing/bands can begin about week 6. At week 8, the boot can be removed and the patient can begin walking in regular shoes, again, with heel lifts. Again, pending physician authorization, “mini-heel raises” with both legs can start about this time as well as seated heel raises. Patients can usually begin doing heel raises in the pool to help improve strength and functional capabilities of the Achilles. The heel raise progression should eventually enable the patient to perform single leg heel raises through the full range of motion, pain free, prior to the initiation of low impact activities like jogging. You should also be able to hop on one leg in place pain free and with proper form as well prior to starting a jogging program. Otherwise, inflammation and swelling are likely to occur. Return to sports activities might be anywhere from 6-12 months. If you have an Achilles tendon rupture and need rehab after your surgery, look to the PT’s at SSOR to get you back on your feet. We understand what is required to get you back efficiently and effectively. You’ll have specific tasks along the way to ensure your outcome is maximized. It would be a privilege to serve you, give us a call! Disclaimer: We have no financial interests in the PARS procedure or any company affiliated with it.